This post will cover five great day trips from Wellington. I’ve made sure these are practical day trips to. Sure you can drive to Whanganui and back in a day, but it’s not going to be the most enjoyable day sitting in the car for so long. 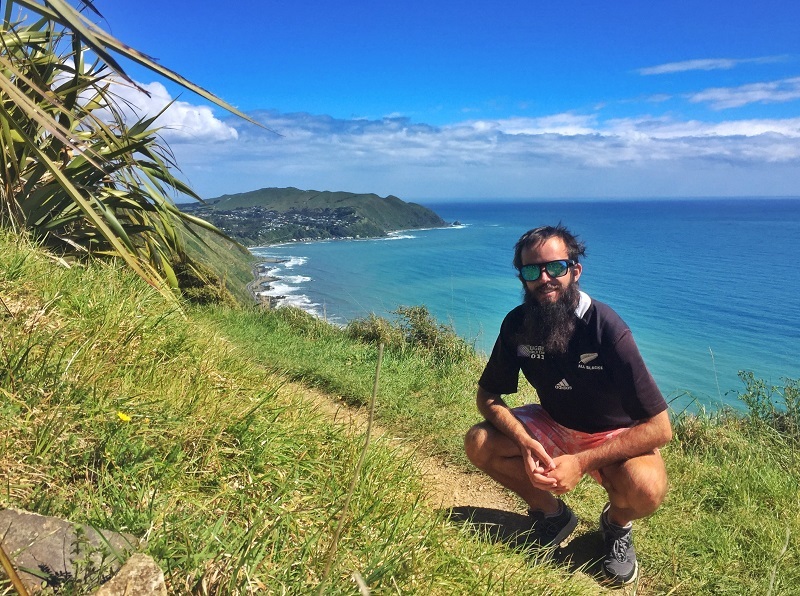 Why make a day trip from Wellington? While there’s no short of activities in Wellington, there’s plenty of places to see in the wider region. Places that are often missed out on road trip itineraries. So while you spend your 2.18 days in Wellington, go out and see some of what the areas around Wellington have to offer. Note 1: Each trip in this list has one main attraction, with activities added to make the trip into a full day trip. Note 2: These Wellington day trips are all best enjoyed on a nice day. If it’s rainy, then consider throwing the idea away and sticking to rainy day activities. I’m biased and think this is the best Wellington day trip. Why? I was lucky enough to grow up in Waikanae, where from the beach you look out to Kapiti Island. 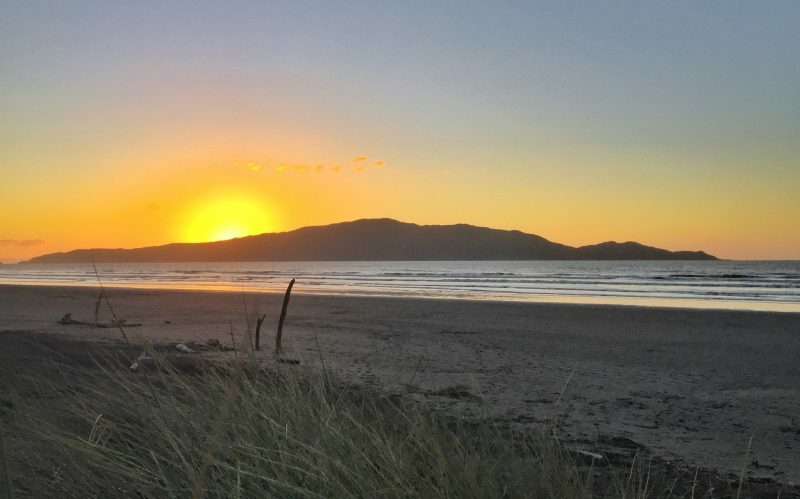 To get to Kapiti Island, you’ll need to take a charter boat from Paraparaumu Beach. There are a few companies who do this, and you can book them online in advance (with limited seating this is a good idea). To get to Paraparaumu Beach it’s an ~40 minute drive or you can take the train and bus. Or some booking options have departures from Wellington. You have the option to explore different parts of the island on either a guided tour or you can go solo. Kapiti Island is a predator-free island, so there’s a quarantine process before exploring the island. You’ll notice some houses on the northern end of the island, some people live there and a small group of people have populated the island for decades. As a result, there are plenty of stories to tell about the island. There are several walking tracks, with the option to climb to the 521km peak if you’d like. Watch out for the Kaka when you’re eating! They’ll happily steal your food. Overall, a Kapiti Island day trip from Wellington is a great way to say you’ve visited one of NZ’s best nature reserves. If your visiting in the summer, you’ll still have plenty of daylight left in the day after you return from the island. So head on up and do some things in Waikanae. For those who are super active, hike up to Hemi Matenga and you’ll get a different view of Kapiti Island from what you saw earlier. Or head into one of the great spots to eat like Olde Beach Bakery or Salt and Wood Collective. You could always grab some fish n chips from Waikanae Beach Takeaways and eat them on the beach for sunset. The train runs late into the evening from Waikanae to Wellington, so there’s no need to rush back. Views for days on the Escarpment track! The Paekakariki Escarpment Track is one of my favourite walks in Wellington. To see why, check out some of the photos in this post! This day trip is reached by train (45-minute train journey) which makes it an easy day trip from Wellington. The walk is 10km long each way, so for most people walking one way is going to be enough of a journey. Therefore, start walking from the Pukerua Bay end and finish in Paekakariki. The walk has plenty of stairs (it’s known as the Stairway to Heaven) so expect to be walking for at least two hours one way. On a nice day, you’ll get epic views of Kapiti Island and the coastline as you cross the two swing bridges and follow the hill above the train tracks and SH1. See if you can spot the South Island too. 95% of the walk is in the open so don’t forget to pack your sunscreen! You can read more details about the walk in the full post here. When you arrive in Paekakariki, plot yourself down at one of the cafes to refuel! There’s also a great little gallery in the village that’s worth a look (and I’m not big on galleries). After this, head on down to Paekakariki Beach or Queen Elizabeth Park for a couple of hours. When the tiredness kicks in, you can catch the train back from Paekakariki Station. 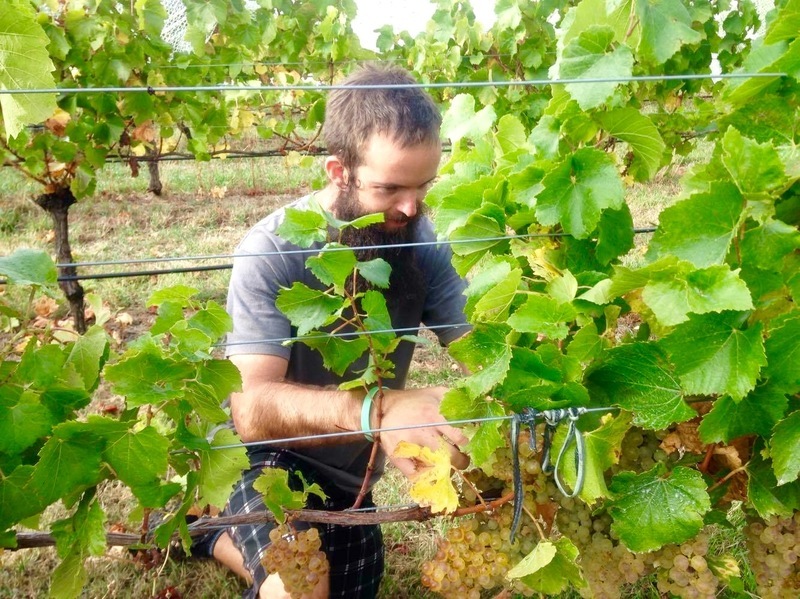 I worked for a bit on the vineyards in Martinborough! If you’re a pinot noir fan, Martinborough is for you. It is the regions flagship wine and is starting to garner a bit of a name for itself overseas. There are lots of wineries in Martinborough with most of them open daily for tastings. Most of the wineries are within walking distance, so you can catch public transit there. Not taking public transport? If you can’t find a sober driver, there are lots of tours (transport included) on GetYourGuide. Don’t fancy walking from vineyard to vineyard? I can’t blame you. Look into hiring a crocodile bikes. They’re a blast as Martinborough is super flat and the locals are used to seeing them so give you lots of space on the roads. I’m no connoisseur so I’m not going to tell you which ones to visit, but I did work on a few for a harvest season and anything I tasted was awesome (easily pleased). I’d recommend heading to the visitor centre to grab a map before you start and go from there. You can always ask the people at each winery where they would recommend visiting next, that’s always fun. If you have a car, consider going to the south coast to check out Cape Palliser, the seals, and a Lord of the Rings filming location. It’s a good drive past Martinborough, but if you start the day early they’re some of the best things to do in the Martinborough area. 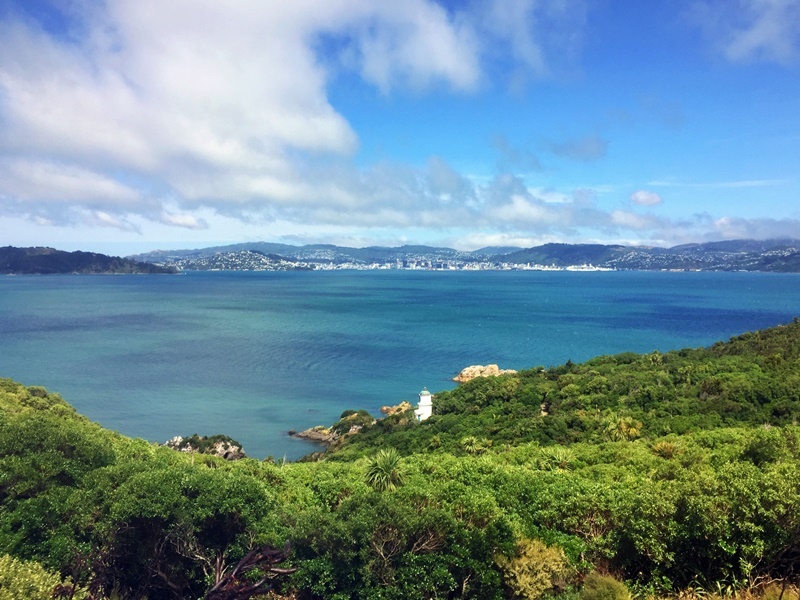 If you want to escape the city, then one of the easiest ways is to head out to Days Bay on the otherside of Wellington Harbour. Before you go to Days Bay, catch the 10am ferry from Queens Wharf to explore Somes Island, a 25-hectare island in the middle of the harbour. While you’re there, check out the beach, walk a loop around the island, and check out some historic structures left over from WWII. Catch the 12.25pm ferry from Somes Island to Days Bay (check the latest timetable here). What to do in Days Bay? If you love the beach, head straight there from the wharf and park yourself up for the day. But most of you will be looking to explore the area. I’d recommend grabbing a bike to get around efficiently which you can hire from The Boatshed which you’ll find here next to the wharf. Now that you’ve got a bike, head down to the historical Pencarrow Lighthouse, the countries first lighthouse. That’ll take up a good 1-2 hours and when you return pop into Chocolate Dayz Cafe for some food and drink. Now, depending on how you’re going for time, you might want to check out some of the galleries in the area, or you can hike up the hills overlooking Days Bay for awesome views across the harbour. Then again, you’ve got the beach, with kayaks and other bit and pieces available from The Boat Shed. Important! Don’t forget to check the ferry timetable for when the last ferry leaves to Wellington. This one might seem ambitious, but it’s totally possible and if you’re not going to have a chance to explore the South Island on this trip, at least you’ll get a small sample of what you can expect on your next trip. This is going to be more of a trip that’s suitable in the summer so you can take advantage of the longer daylight hours. The key is to catch a super early ferry, which might mean you want to nap on the boat as you make your way over the Cook Straight. If you catch the 2.30am departure, you’ll be arriving right on sunrise in the summer. In Picton, there are some great walks in the area including the Snout Track, Tirohanga Track, or you could even cycle the length of the Queen Charlotte Track if you’re feeling super ambitious. Picton has some nice cafes and is a hive of activity in the summer, but a 20-minute drive away is Blenheim where you’ll find an abundance of wineries. If you’re on foot, you’ll want to rent some bikes to get from winery to winery, alternatively, you can book one of the many tours available. Wellington has lots of domestic flights and there’s no reason you couldn’t fly to Queenstown for a day. This wouldn’t be for me, but hey, if you want to go snowboarding for the day, then catching an 80-minute flight isn’t the end of the world! It’d be an expensive trip, but you gotta do what you gotta do right? If you put the plans in place in advance to limit transit times (check in online/carry-on only etc. ), it is possible! Wellington is like Melbourne in plenty of ways. Both are best places for coffee, breweries, vegan food, nightlife, and more in their countries. And the same goes for day trips, Wellington has some great options.